James E. Reed is an attorney and shareholder of the Firm. He was born in 1953 in Kalamazoo, Michigan. He graduated from Western Michigan University in 1975 with a major in mathematics and from the University of Puget Sound School of Law, Tacoma, Washington, in 1978 where he served as Editor in Chief of the Law Review. Jim was in private corporate and general business law practice in Tacoma, Washington, from 1978 to 1982. He joined the Firm in 1982. Jim's areas of concentration include real estate law and litigation, commercial law and litigation, environmental law, and probate and estate planning. His commercial law experience includes representing banking and other lending institutions and representing both large and small business owners in a variety of matters including formation of corporations and partnerships, public securities offerings, and general commercial litigation. He has also represented franchisees of national chains, including the food service and retail sectors. 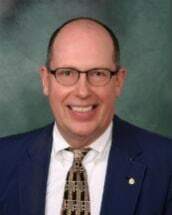 Jim has served as the attorney for the Branch County Association of Realtors since 1996 and the Battle Creek Area Association of Realtors since 1987. Jim has also assisted in various aspects of major commercial real estate development in downtown Battle Creek. His real estate experience includes work for major commercial and retail landlords in the area and the creation of commercial and residential condominium projects. Jim is a member of the Washington State Bar Association, State Bar of Michigan, American Bar Association, Calhoun County Bar Association (President 1989-90), Michigan Land Title Standards Committee (since 1985, Chairman 2001-04), and Michigan Real Property Law Section. Jim also serves on a number of non-profit Boards in the Battle Creek area.